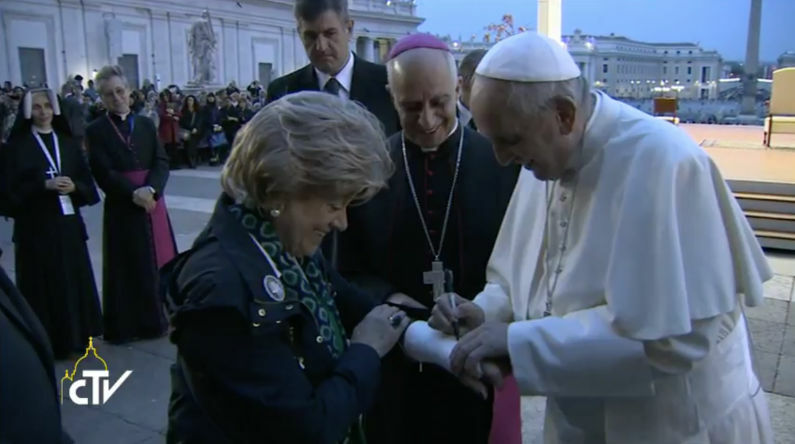 At the end of the Prayer Vigil on Divine Mercy Sunday Pope Francis stage a meet and greet session during which a lady requested he autograph a cast adorning her broken left arm. He was only too happy oblige! Watch a replay of the entire Vigil below.